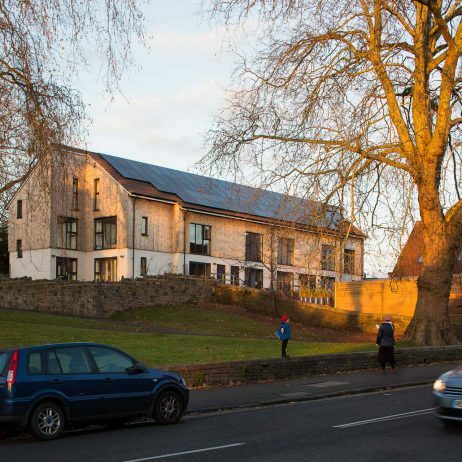 325 Fishponds is a pilot project for Bristol Community Land Trust. 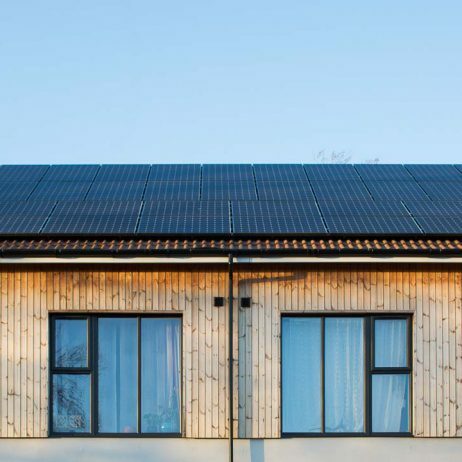 Their aim was to create truly affordable communal housing for their members, while giving them an active role in the design and construction process. 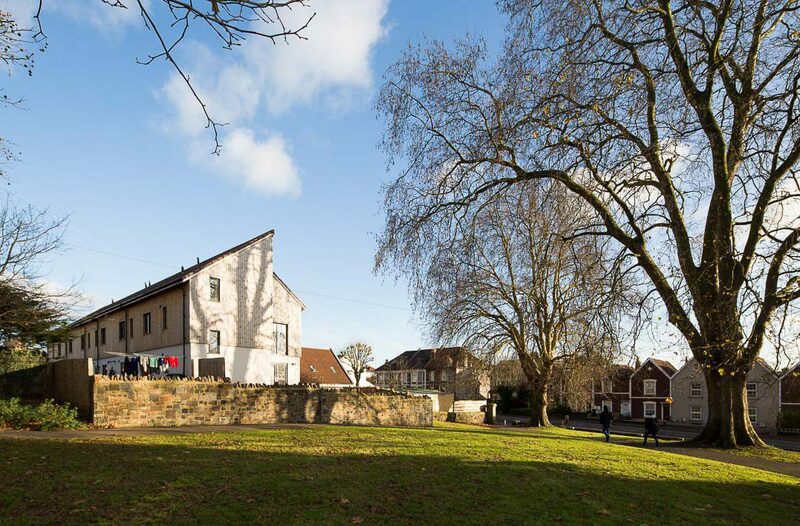 Following several workshops with members of the Trust, our solution was to provide a range of accommodation in the form of 3-bed houses and 1-bed studios.The latter was converted from a former chapel-turned-school, which still occupied the site. Unlike conventional housing, our solution was a ‘self-finish’ scheme with a contractor appointed for the foundations and superstructure, the residents worked together to complete the fit-outs themselves. They earn ‘sweat equity’ (labour hours towards equity in the building, or money off rent) which kept it low-cost and sparked the first sense of communal living. With the site set on a busy main road and next to a public park, the property boundary needed to give the residents privacy and safety, but also be attractive and welcoming. 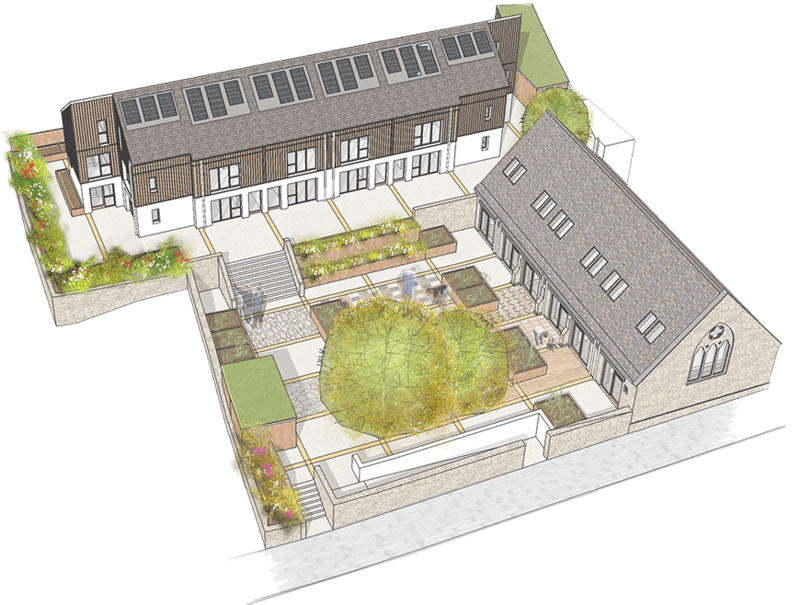 With space too tight for everyone to have their own garden, what emerged was a shared communal space; perfect for the Trust’s philosophy. 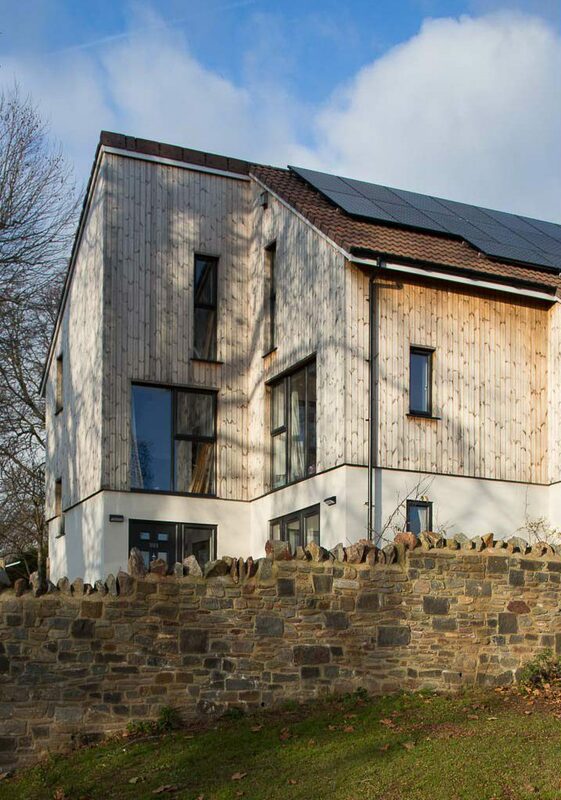 Instrumental in the project was Jackson Moulding, a key member of the Ashley Vale self-build development in another area of Bristol, and Anna Maloney who acted as project manager for Bristol Community Land Trust.